WOW...we took the main stage at 1:30 p.m. to a near standing room only crowd. We were so happy to see all the folks in the crowd there to meet our Bird Ambassadors and learn about them. We all learned and more importantly laughed together as we fielded wonderful questions. This event is always fantastic for us and we were so happy to return. We also were fortunate enough to grace the front and middle pages of the Galt Herald the following week. 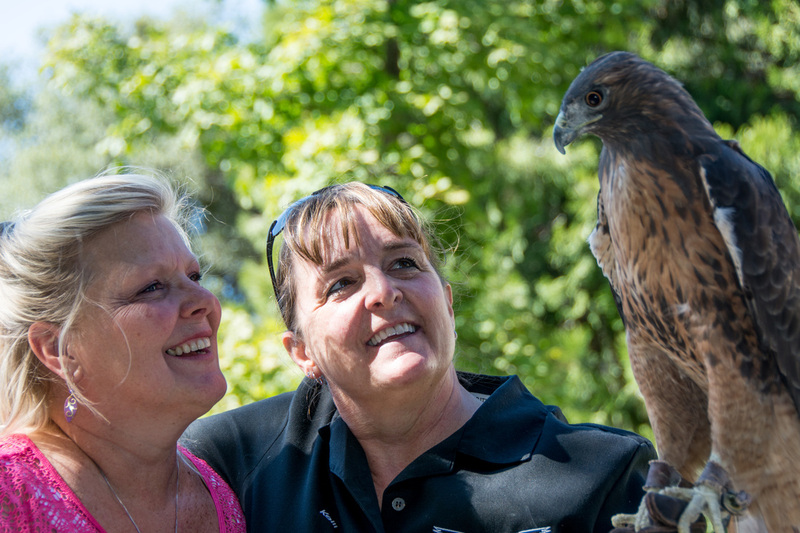 Thank you so much for your enthusiasm and love for the birds in the Sacramento Valley. We look forward to seeing you again soon. 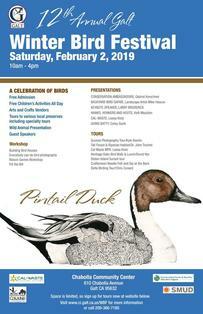 Saturday, January 26, 2019, 11:00 a.m.- 2:00 p.m.
We helped Wild Birds Unlimited celebrate their two year anniversary. Such a beautiful store with all things wild birds, including birds of prey! Their staff is so knowledgeable and they have a wonderful array of items to help make your home a welcoming place for birds. If you enjoy wild birds, you will love Wild Birds Unlimited. We brought a number of our Bird Ambassadors and shared our Discovery Table too. What a fabulous turn out we had, so nice to see all of you! We are so grateful for being asked back to Oakmont of Folsom to share our Bird Ambassadors with the folks at Oakmont of Folsom. We've developed quite a relationship with them and always enjoy our shared time together. We brought along the birds and displayed our Discovery Table with everyone. A wonderful way to start the new year! Tuesday, March 19, 2019 at 4:00 p.m.
We always look forward to meeting new people who enjoy the library in Cortland. It was our very first visit there and are very excited. We had our wonderful Bird Ambassadors to share with a standing room only crowd and they loved enjoyed exploring our ever so popular Discovery Table. This was our first time visiting the La Petite Academy. We originally were going to visit a class of pre-schoolers but learned that there were quite a few other students there due to the Holidays so we invited everyone to join us. We shared our Bird Ambassadors and then we had the students come up to the Discovery Table to touch wing, feathers and talons! Everyone had a great time. We returned to Sunset Elementary for our fourth year but this time we presented to three different classes. We enjoyed spending time with Ms. Cihak's class and meeting two more classes of fourth grade students. We spent the better part of the morning sharing our fantastic Bird Ambassadors and fun facts about their lives in the Sacramento Valley. Friday, December 7, 2018 at 3:30 p.m.
We are proud to announce our second invitation to the Rancho Cordova Library this year. We enjoyed our time sharing our Bird Ambassadors and of course our ever so popular Discovery Table was a hit! It was great to see you again. The best, most wonderful team of volunteers! Thank you! Saturday, September 22, 2018 at 2:00 p.m. It's was an honor to be asked back to Oakmont of Roseville, this was our third visit. We loved sharing our Bird Ambassadors and the Discovery Table with the residents. We look forward to seeing you all again next year! Saturday, July 28, 2018 at 2:00 p.m. This was our very first visit to Colonial Heights Library. It's always fun to visit new locations and meet new people! We enjoyed introducing our Bird Ambassadors and sharing the velvet ness of an owl wing at our popular Discovery Table. Had a great crowd of curious and knowledgeable people, especially the kids, WOW! Saturday, July 21st, & Sunday, July 22nd 9:30 a.m. thru 4:00 p.m. There are so many wonderful people who celebrate the oldest art form in the United States. We are honored to have returned to this event for the fourth year. Duck decoys were of course featured but the carvers have expanded their talents to carving raptors, songbirds and fish - truly amazing! Books, collectables, photography and equipment were available to be purchased. The show also displayed artwork drawn by kids for the Duck Stamp competition and people observed artist carving their next projects. We again offered our wonderful set up for birds lovers and carvers alike - many photos were taken of our Bird Ambassadors and were happy to share them with everyone. 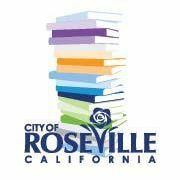 Saturday, July 7, 2018 at 1:00 p.m.
We had a standing room only event last year at the Roseville Library and the folks in Roseville didn't disappoint this year. Another standing room only event, WOW! Our Bird Ambassadors were a big hit as was the Discovery Table...we stayed quite a while after our presentation was over to ensure everyone had a chance to ask questions and experience all that we had. We had a great time meeting and talking with everyone, thank you! Saturday, June 23, 2018 at 2:00 p.m. This is a brand new facility that opened in June so we are super honored to be a part of the first of the activities at this location. We brought four, maybe five of our Bird Ambassadors to share and the residents enjoyed being able to touch and explore the items on the Discovery Table. Had a great time meeting everyone. 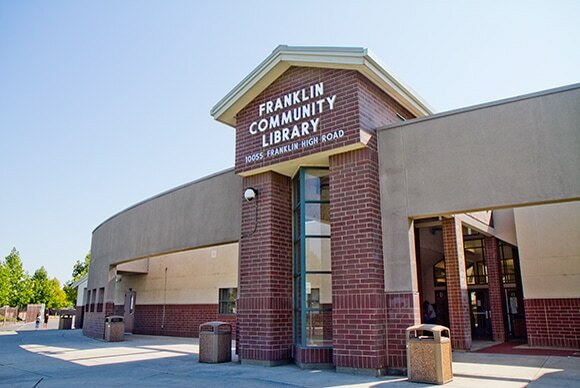 Wednesday, June 13, 2018 at 3:30 p.m.
We've been to the Elk Grove Library previously and enjoyed meeting everyone. We were excited to go back to share our wonderful Bird Ambassadors and or course our Discovery Table. We had a wonderful time meeting the standing room only people who attended. The team at Wild Birds Unlimited invited Hawks, Honkers & Hoots to join them and celebrate our mutual love for birds. The store is beautiful and the people that work there are so helpful in ensuring that you have just what you need to keep the birds in your neighborhood very happy. We had our Discovery Table and of course our Bird Ambassadors. Thank you for coming out and celebrating with us, it was wonderful to meet you! Saturday, May 19, 2018, 10:00 a.m. - 4:00 p.m. It was an honor to be asked back to this event, we've been away for four years now and so happy be back! 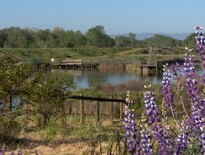 This event highlighted local efforts to protect and restore Central Valley habitats. This was a free family orientated event about nature. We were on the Main Stage for a formal presentation with our wonderful Bird Ambassadors. We also had a booth that featured wings, feathers, talons, books and so much more! We met so many wonderful people at the event, happy to have met you. Friday, May 18, 2018 at 4:00 p.m. This was our fourth visit to the Rancho Cordova Library. We always have a wonderful time sharing our Discovery Table and Bird Ambassadors with the people of Rancho Cordova. Keep calling and we will keep coming back! So honored to have been asked back to present to the wonderful Lodi Docents! Another treat that evening was a group of students from local High Schools that have been monitoring the Mokelumne River twice monthly all year. They call themselves the Storm Drain Detectives, cute! We did a presentation with our wonderful Bird Ambassadors and by special request introduced our famous JEOP-BIRD-EE game to play. The game was a HOOT! We all had a wonderful time! Saturday, April 28, 2018 at 11:00 a.m. - 3:00 p.m. This was Hawks, Honkers & Hoots' very first time at this event. We were excited to participate in an event that focuses on kids and families! We brought many things for the kids to explore at our booth and of course we featured a number of our Bird Ambassadors. This was a free event! We were happy to see you there! Tuesday, April 24, 2018 at 2:30 p.m. This was our very first visit to Hilltop Assisted Living Facility. We were so excited to share our love for our Bird Ambassadors with all the residents. We also had our Discovery Table for everyone to explore and enjoy! This is a very special event that is set up to encourage elementary aged students to get outside and explore what nature has to offer. We attended this event a few years ago and are very happy to participate again. We took the main stage and it was a "Hoot"! The kids and teachers alike appreciated the beauty of the birds. We had some super questions and were impressed by the level of knowledge of all in attendance. GREAT JOB! Saturday, April 14, 2018 at 11:00 a.m. It was an honor to be asked back to Oakmont of Roseville, this was our third visit. We loved sharing our Bird Ambassadors and the Discovery Table with the residents. We look forward to seeing you all again! Saturday, February 10, 2018 at 2:00 p.m.
We were excited to return to the Walnut Grove Library. We enjoyed meeting everyone the last time we were there and are looked forward to seeing you all again. We shared our wonderful Bird Ambassadors and our ever so popular Discovery Table was a huge hit. We enjoyed meeting you all! We had the pleasure of meeting the wonderful people who own and work at Wild Birds Unlimited at the Galt Winter Bird Festival in 2017. We've become fast friends, meeting because of our mutual love for birds. We were so happy you joined us as we helped them celebrate one year in business! The store is beautiful and the people that work there are so helpful in ensuring that you have just what you need to keep the birds in your neighborhood very happy. We had our Discovery Table and of course our Bird Ambassadors. Thank you for coming out and celebrating with us. This was a public event & FREE! 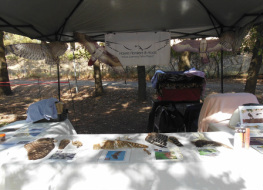 This was our fourth year at this wonderful festival to celebrate the birds here in the Sacramento Valley. Perfect time to birdwatch the amazing birds that migrate through our area every year. We shared the MainStage with other Keynote Speakers that were fantastic. It was an honor to be asked back once again. Thank you for sharing the fun! Tuesday, January 16, 2018 at 6:00 p.m. It was quite an honor for Cub Scout Pact 88 to request a program from us for the second year in a row. We always look forward to sharing our love and passion for wildlife, especially Birds of Prey with fellow nature lovers! We shared the Discovery Table and of course four of our Bird Ambassadors! This was our second visit to the Franklin Library this year, what an honor to be asked back once again. We introduced our Bird Ambassadors and shared our Discovery Table with all in attendance. We were so happy to see you there. This was our very first visit with the Bayside Homeschool Network. This group is made up of families throughout the greater Sacramento area that provides support and activities for Homeschool families. We had a great time introducing our Bird Ambassadors and sharing our Discovery Table with all in attendance. We visited Ms. Cihak's class for the third time. Ms. Cihak always does a wonderful job teaching her students about Birds of Prey, especially Barn Owls. Yes, our Bird Ambassadors were in the classroom with all her students while they sat at their desks. We also brought items that are typically found on our Discovery Table that the students explored and enjoyed. Thursday, October 19, 2017 at 4:00 p.m.
Twice in one year? Yes, we returned to the Rancho Cordova Library again this year! In August we were blessed to have been on the cover of the Grapvine which brought many people to our program. Also for the second time, Hawks, Honkers & Hoots made the front page of the Grapevine Newspaper and it brought many new people to come and see us. We shared our beautiful Bird Ambassadors and of course the Discovery Table was a huge hit! Tuesday, October 10, 2017 at 2:30 p.m.
Saturday, September 23, 2017 at 6:00 p.m. This was a very special evening, the Central Library celebrated Harry Potter. We only brought our Owls since owls play a special role in the Harry Potter series. We brought along our Discovery Table for all to explore. Saturday, September 23, 2017 from 11:00 a.m. - 3:00 p.m.
We were honored to have been asked back to Windwalker Winery for the second time by owners Alanna and Jim Taff. Windwalker features some of the best wines that come from the Sierra Foothills. They cleaned up on recognition awards at the State Fair this year. This will be a special event for wine club members. We shared Murphy (Red-tailed Hawk), Trek (Swainson's Hawk) and Bolt (Peregrine Falcon) since all our owls will be attending a special event the same evening at the Central Library in Sacramento. We had our Discovery Table so many people enjoyed! Tuesday, September 12, 2017 at 1:00 p.m. It was so wonderful to be invited to a new location to share our Bird Ambassadors and Discovery Table with. We seemed to draw quite a crowd and had a wonderful time meeting everyone. Thursday, August 31, 2017 at 4:00 p.m.
We were excited to return to Arcade Library after visiting for the first time last year. This year were asked to bring owls only to this event. So owls it was! We brought all the wonderful items for all to explore on our Discovery Table once our presentation was completed. Thursday, August 24, 2017 at 4:00 p.m.
We returned to the Rancho Cordova Library for the third time, quite an honor. We have always enjoyed our time with everyone there and this time we had a full house! The Grapevine, Rancho Cordova's newspaper had us on the front cover which reached many people. We enjoyed it. Wednesday, August 2, 2017 at 5:30 p.m.
Hawks, Honkers & Hoots was very excited to have been invited for our very first show at the Roseville Library. We shared our Bird Ambassadors with everyone. People got closer than they had ever been to our stunning birds for photographs! The standing room only crowd had an opportunity to actually feel what wings and talons from birds of prey feel like. Saturday, July 22, & Sunday, July 23rd 9:30 a.m. thru 4:00 p.m.
We met so many wonderful people who were celebrating the oldest art form in the United States. We were honored to return to this event for the third year. Featured at this event were of course duck decoys but the carvers have expanded their talents to doing raptors, songbirds and fish - truly amazing! Books, collectables, photography and equipment was available to be purchased. The show also displayed artwork drawn by kids for the Duck Stamp competition and people observed artist carving their next projects. We again had a wonderful set up for birds lovers and carvers alike - many photos were taken of our Bird Ambassadors and we were proud to share them. We also were featured in a couple spots on Channel 31's Good Morning Sacramento on Sunday, what an honor! Tuesday, July 18, 2017 at 2:00 p.m. 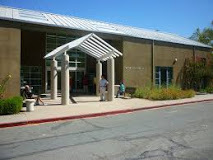 This was our very first presentation at the North Natomas Library, what a beautiful place. We presented to a standing room only event that we had a lot of fun at, everyone was super excited to have us there and we really enjoyed it. 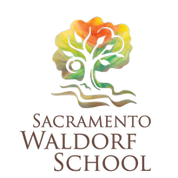 We were honored to be asked back to the wonderful Summer Camp at the Waldorf School. Last year we were able to present Ms. Whisper on her very first outing as one of our Bird Ambassadors. We will brought a few different Bird Ambassadors this year and saw some familiar faces in the crowd. Saturday, July 1, 2017 at 3:00 p.m.
We was our second time presenting at this library. We had a variety of our Bird Ambassadors that people got to see them up close. As always, our Discovery Table was a huge hit for those who wanted to explore. Tuesday, June 27, 2017 at 4:00 p.m. It's always fun to visit a new place and share our wonderful Bird Ambassadors with everyone. This was our very first time at the King Library and we had a great time meeting everyone. We shared our Bird Ambassadors and Discovery Table that everyone seemed to really enjoy! Saturday, June 10, 2017 at 2:00 p.m.
We looked forward to visiting the South Natomas Library for the very first time. We had standing room only and introduced our wonderful Bird Ambassadors to people. We will had our Discovery Table so everyone had an opportunity to actually touch a hawk wing and compare it to how an owl wing feels. Thank you for coming by. Saturday, May 13, 2017, 11:00 a.m.-2:00 p.m.
We made an immediate connection with Angela and Steve, the owners of their brand new store in Roseville when we attended their Grand Opening in January. We were honored to be asked back to help celebrate Mother's Day with the team at Wild Birds Unlimited as well as their patrons. We featured a number of our Bird Ambassadors and of course our Discovery Table that was available to explore. We celebrated Mother's Day in style. It was wonderful to see you all there. So honored to have been asked back to present to the wonderful Lodi Docents! Another treat that evening was a group of students from local High Schools that have been monitoring the Mokelumne River twice monthly all year. They call themselves the Storm Drain Detectives, cute! We promised to do a presentation with our wonderful Bird Ambassadors and by special request introduced our famous JEOP-BIRD-EE game to play. The game was a HOOT! We all had a wonderful time! Monday, April 10, 2017 at 1:00 p.m.
​What a HUGE honor to be asked to visit the library in our home town - we were so very excited! And the "home town" did not disappoint, there were 160+ people in attendance with standing room only; parents were sending their children in to enjoy the program as they waiting in the lobby of the library. The program was highly interactive and exciting. We hope to be back soon participating in other activities that the Cameron Park Library has to offer. Such a nice compliment to be asked to return to Oakmont of Carmichael. We enjoyed sharing our Bird Ambassadors with all the folks that live at this location. The Discovery Table was a huge once again! Saturday, March 3, 2017 at 4:00 p.m.
​Hawks, Honkers & Hoots was excited to visit the Franklin Library for the very first time. Our Bird Ambassadors showed their majesty and beauty. Many commented that they got closer than they ever been to these wonderful birds. Everyone also enjoyed exploring all that our Discovery Table had to offer. Saturday, January 28th at 11:00 a.m.
What an honor to be asked to be a part of Wild Birds Unlimited Grand Opening! They are a fantastic store features all one would want to make their backyard welcoming to wild birds. Their website showcases many articles about attracting birds, feeding birds, identifying birds and so much more. Wild Birds Unlimited has three stores near the Bay Area, one in Grass Valley and one in Sacramento. We really enjoyed meeting all the patrons to the new store. We were also interviewed by Channel 31 news when we first arrived to help excite the public about the store. The owners Angela and Steve and their staff are fantastic! Please stop in and support your local bird store! This was our second time that we visited the wonderful people at Oakmont. We enjoyed our time last year and were not disappointed this year either. We shared our Bird Ambassadors as well as our ever popular Discovery Table to a standing room only crowd. Saturday, January 21, 2017, 8:00 - 4:00 p.m.
​Hawks, Honkers & Hoots was scheduled to take the main stage at 3:30 p.m. but were asked to fill in at 2:30 due to an emergency. We quickly gathered our birds and a few other "props" and headed over to a nice crowd of patiently waiting people. We had a wonderful time as we always do. We also spent a better part of the day at our booth meeting people and sharing our Discovery Table with everyone. Tuesday, January 17, 2017 at 6:00 p.m. It quite an honor to have a Cub Scout Pact request a program from us and we were happy to go! We always look forward to sharing our love and passion for wildlife, especially Birds of Prey with fellow nature lovers! We shared the Discovery Table and of course brought four of our Bird Ambassadors that were a huge hit! A wonderful compliment to any business is a client wants you to return. Was an honor for Hawks, Honkers & Hoots to be make our second visit with this group. Although they are not and "offiicial" club or organization they've been meeting since 2001 sharing their love of birds. The group meets once a month and often times do road trips together to many different loctaions enjoying the birds. They typically have 50-75 people show up for meetings and maintains an email list of over 350 birders. What a fantastic turn out we had, a full house in the auditorium! So many wonderful people that love birds of all types. We were so proud to have been asked to return to Oakmont of Folsom for the third time. We loved showing our Bird Ambassadors with the people and staff. We loved to hear the stories that were shared and everyone enjoyed our ever so popular Discovery Table. We couldn't have asked for a better year and we want thank you for all of your support. We were able to reconnect with old friends and made many new friends. We logged over 40 presentations, a huge leap from 2015 for us. We visited retirement homes, schools, fesitvals, libraries, art shows, appeared on two different news stations and did a live radio interview. WHEW....WHAT A YEAR! We added two new Bird Ambassadors; Whisper, our gorgeous Barn Owl and our little big man, Whoo-Dini our Northern Pygmy Owl. We hope that you had a chance to meet them! We were also fortunate to add three new volunteers and they all were a huge blessing to Hawks, Honkers & Hoots! Lastly, we had a wonderful time at our 4th Annual Fundraiser, "Wings & Wine"! Looking ahead, we already have over 10 presentations booked for 2017. We look forward to seeing you all again and meeting new friends. Be sure to check out our "What is HH&H up to" tab above to see where you can see us in 2017. We look forward to seeing you again, be sure to come say hello. Wishing you a very Merry Christmas and the best that the New Year can bring for you and your family. Monday, December 12, 2016, 1:00 p.m.
Hawks, Honkers & Hoots will be made our third visit to the Ponderosa High School ROP Class that focuses on animal care. 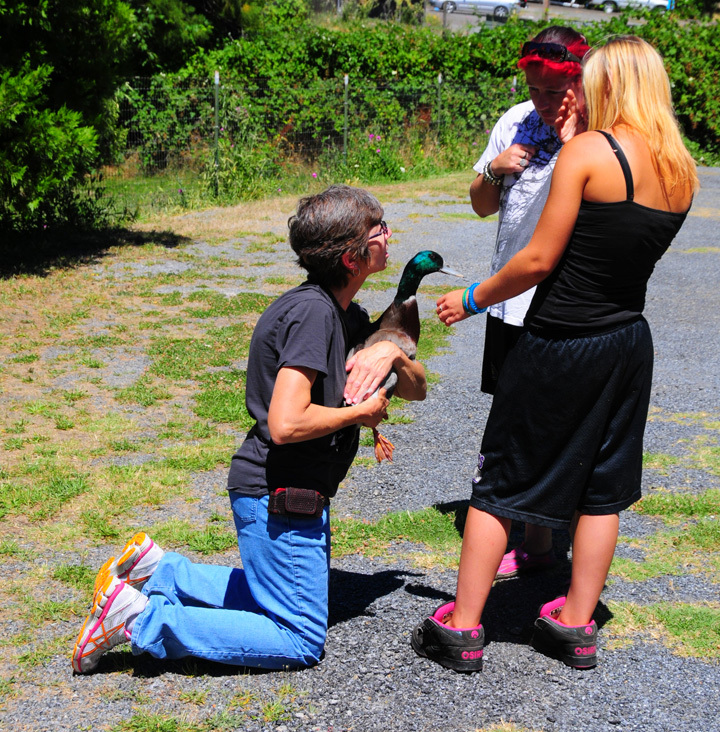 The students that are involved in this program have a career goal of working with animals, wild and or domesticated. It's always a great experience for Hawks, Honkers & Hoots to meet young adults with a shared passion for animals. Thursday, November 10, 2016, 4:00 p.m.
Hawks, Honkers & Hoots made our first visit to the Arcade Library. It was great to meet everyone and had a wonderful time introducing our Bird Ambassadors. Thursday, November 3, 2016, 4:30 p.m. This was our second visit to the Rio Linda Library and very happy to be invited back. We shared two of our new birds with everyone and had our Discovery Table set up for all to explore. We cannot thank you all enough for the fantastic love and support you all showed to Hawks, Honkers & Hoots on October 23rd. What an amazing turn out of family, friends and quite a few new supporters. We are overwhelmed with your kindness and generosity. ​We introduced a new twist on Jeop-BIRD-eee that made the game more interactive and fun for all. The raffle and silent auction items went like gangbusters! 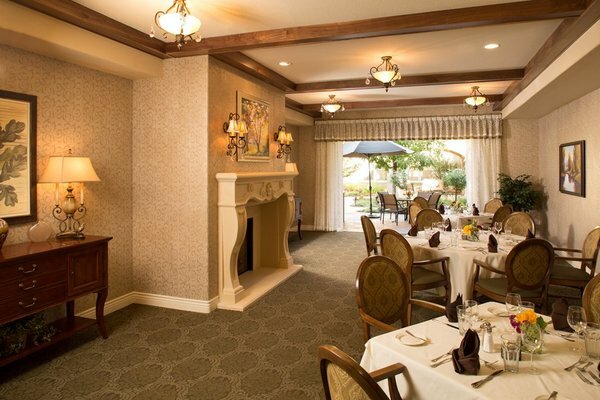 The food and service at the Cameron Park Country Club was excellent as always. And the Bird Ambassadors, the entire reason for all our efforts were the stars of the show. If you missed this wonderful event this year, we hope that you will make it to the 5th Annual Wings & Wine Fundraiser! Friday, October 21, 2016 at 12:30 p.m.
Hawks, Honkers & Hoots was honored to have been asked to return to Ms. Cihak's 4th grade class again this year. We always have such a wonderful time with her class the past two years, her students are always wonderfully interested in Hawks, Honkers & Hoots. We enjoyed all their great questions, it's obvious that Mrs. Cihak shares her love of animals with her students! Saturday, September 17, 2016 8:00 a.m. -10:00 a.m.
We was so proud to participate in this event and serve our home community. Our goal is to bring interest to this very important day where the public volunteers their morning to help clean up trash around Cameron Park Lake. This clean up is great for the public but is very important for the local wildlife that lives here. We had four of our Bird Ambassadors for the public to meet. We appreciate all who participated. Wednesday, September 14th, 2016 at 6:30 p.m.
Brentwood Library welcomed Hawks, Honkers & Hoots for the first time at their library. All patrons will had an opportunity to meet our Bird Ambassadors, up close and personal. 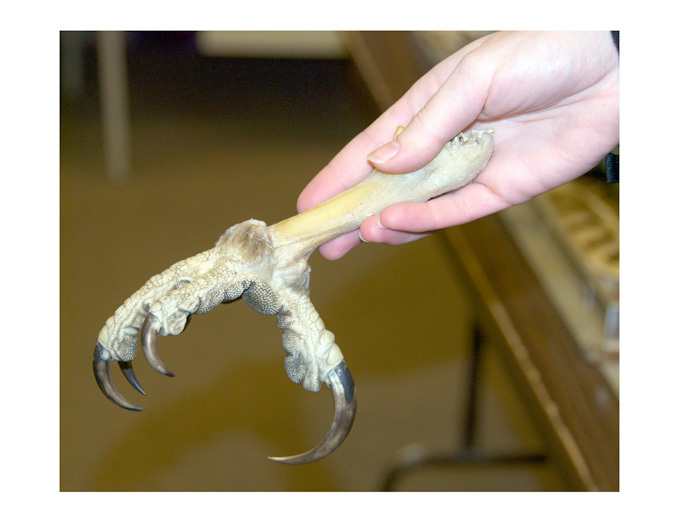 They also had a chance to feel the amazing wings, feathers and talons on our discovery table. Thank you so much for being there! Hawks, Honkers & Hoots was honored to have been asked back by Tuleyome to do a presentation about the birds that are native to the local areas. 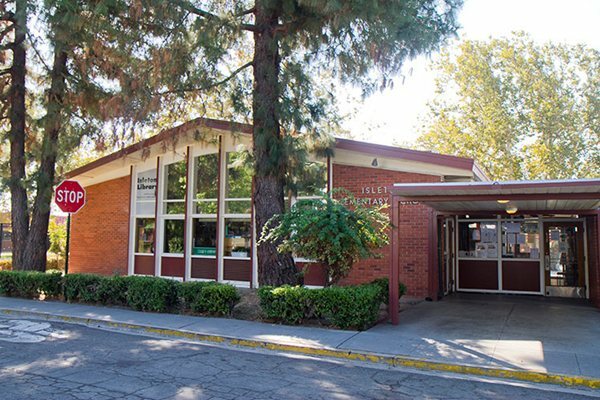 This was our second visit to the library in Davis and our second opportunity to work with Tuleyome. Our bird ambassadors were there and of course our discovery table wowed the crowd. Saturday, July 30, 2016, at 2:00 p.m. This was Hawks, Honkers & Hoots first visit to the Clayton Library. We enjoyed meeting all the people that participate in summer library programs. Of course we brought the stars of our programs, our wonderful Bird Ambassadors. We amazed the senses with our Discovery Table. Saturday, July 30, 2016, at 11:00 a.m.
We were happy to have been asked to do a presentation for the patrons that visit the Concord Library for their summer reading programs. It was a fun, yet educational event for all! A crowd favorite was our Discovery Table everyone had the chance to actually touch a wing of a Red-tailed Hawk and feel the sharpness of the talons of a Great Horned Owl. Of course our Bird Ambassadors were the hit of the party which was well deserved. Friday, July 29, 2016 at 4:00 p.m.
We were happy to visit the Rancho Cordova library again this year. Our ever popular Discovery Table was available to explore what a wing of a Great Horned Owl feels like and to see how sharp the talons are on a Red-tailed Hawk are. Our fantastic Bird Ambassadors were the stars as always. Thursday, July 28, 2016 at 5:30 p.m.
Hawks, Honkers & Hoots looked forward to presenting our program to people that came to the Prewett Library. We brought our Bird Ambassadors and allowed you to get up close with these magnificent creatures. We enjoyed meeting you! Thursday, July 28, 2016 at 1:30 p.m.
We were honored to be asked to visit the Pittsburgh Library. We shared our Discovery Table as well as our Bird Ambassadors with everyone in attendance. We entertained with interesting facts about these wonderful birds. Saturday, July 23, 2016 at 2:00 p.m.
We enjoyed meeting the people at the Rodeo Library. This was our very first visit and brought fun, laughter and learning to all. Our Bird Ambassadors were a big hit and a close second was our ever popular Discovery Table people had a chance to feel the sharpness of a hawks talon and the softness of an owls wing. We were happy that you joined us. Saturday, July 23, 2016 at 11:00 a.m.
Hawks, Honkers and Hoots made our very first visit to the library in Hercules, CA. We enjoyed meeting you and sharing our wonderful Bird Ambassadors with everyone. Most had the opportunity to see what a Red-tailed hawk wing feels like in addition to the many other things on our Discovery Table. Tuesday, July 19, 2016 at 6:00 p.m.
We were excited about our very first visit to Doughtery Station Library. We introduced our Bird Ambassadors to everyone and shared many interesting facts. What a great turn out of approximately 150 people. Tuesday, July 19, 2016 at 3:00 p.m.
Danville Library welcomed Hawks, Honkers & Hoots for the first time at their library. All patrons had an opportunity to meet our Bird Ambassadors, up close and personal. They appeared to really enjoy feeling the amazing wings, feathers and talons on our discovery table. We met so many wonderful people. So happy to be a part of this wonderful event for the third year. So much amazing talent and love for nature was shown. Fantastic turn out for the event. Tuesday, July 5th at 11:00 a.m.
One of the best compliments any business is repeat clients. This was our second visit to the Waldorf School's summer program and we're so proud to have been asked back. As we did last time we brought our majestic Bird Ambassadors and gave the kids an opportunity to explore all the wonderful things on our Discovery Table. There was a fantastic turn out of students and parents alike. Sunday, June 26, 2016, at 1:00 p.m. 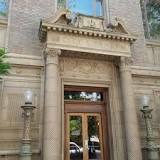 The Central Library is a part of the Sacramento Library system who has been a great supporter of HH&H. We are honored to visited the Central Library for the very first time. The stars of the show are our Bird Ambassadors but the Discovery Table was an enormous hit with everyone! We enjoyed meeting the people that come to the beautiful library right in the middle of downtown Sacramento. Saturday, June 25, 2016 at 3:00 p.m.
Hawks, Honkers and Hoots was proud to announce our presentation at El Sobrante Library! We sharied our Bird Ambassadors as well as our Discovery Table that we love to share with everyone who comes to see us. We had a great time fielding questions from the packed house and sharied some facts that people enjoyed hearing. 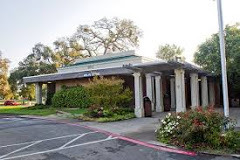 Saturday, June 25, 2016 at 11:00 a.m.
What an opportunity it was for Hawks, Honkers and Hoots to be invited to the Moraga Library for the first time. We shared our ever so popular Discovery Table where everyone was able to touch wings, talons and feathers! The best part of our program as was always were our fantastic Bird Ambassadors. We enjoyed spending the morning with the folks. Wednesday, June 22, 2016 at 3:30 p.m.
What a fantastic turn out of patrons at the Elk Grove Library. We had such a wonderful time with so many great questions from the audience. We shared our beautiful Bird Ambassadors and our Discovery Table which was a huge hit. Saturday, June 11, 2016 at 2:00 p.m.
We were honored to do our first presentation at the Martinez Library. We enjoyed meeting people in the crowd who had some wonderful questions! The Birds were a big hit, as that's why people come to see us. Saturday, June 4, 2016 at 3:00 p.m. This was our very first visit to the San Pablo Library. A great testament to what we do is to be asked to return to locations we've already presented at or be referred. We had a great time sharing our Bird Ambassadors and our Discovery Table with the wonderful people that came to meet us. Saturday, June 4, 2016 at 11:00 a.m.
We were very excited to be asked back to El Cerrito LIbrary to share our bird ambassadors. This was our second visit to this location and WOW what a fantastic turn out we had! We shared many different items on our Discovery Table but of course the stars of the show were the Bird Ambassadors. We appreciated everyone that showed up and participated in the program with us. Saturday, May 21, 2016 at 10:00 a.m. - 3:00 p.m.
We met some wonderful people at the Pacific Flyway Decoy's event last July who asked if we'd be interested in coming to their event in 2016. 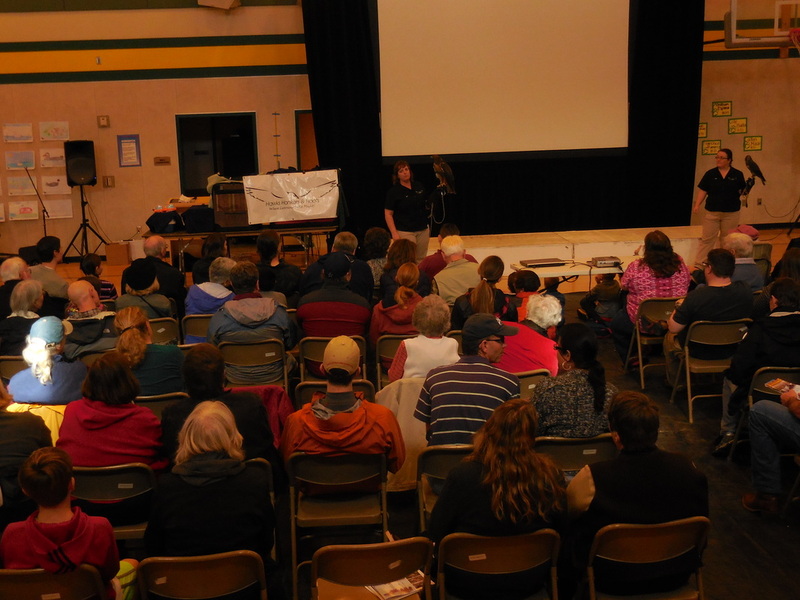 Last year more than 300 people attended the event that featured birding activities, presentations and carvings, this year was an even great turn out. We were honored to be part of this event. This was Hawks, Honkers & Hoots' maiden voyage to Brookdale of Elk Grove. Our Bird Ambassadors shared their beauty while the hands on Discovery Table engaged the people and entertained their senses. Thursday, April 21, 2016 at 1:00 p.m.
We participated in an Adult program called, "Experience the Cache Creek Nature Preserve". Their Executive Director heard about our program through wonderful people at the Delta Conservancy for whom we've done multiple programs for. We had a great time sharing our Discovery Table and beautiful Bird Ambassadors. So happy to see so many people and have such an interest not only in our program but more so about the birds. We visited Oakmont of Roseville for the very first time. Their Activities Director found out about our presentations at their Folsom and Carmichael locations and asked if we could come to her location. 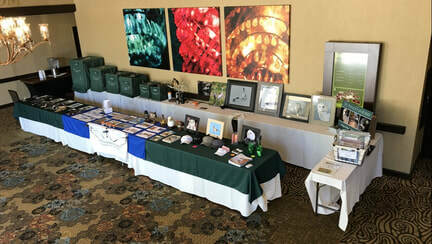 We shared our Discovery Table and beautiful Bird Ambassadors with over 50 clients at Oakmont. All of us had a wonderful time and they promised to ask us back again soon. Friday, March 18, 2016 at 3:30 p.m.
Hawks, Honkers & Hoots visited McKinley Library for the very first time. Our bird ambassadors showed off their beauty and majesty. We brought our ever so popular discovery table with feathers, wings, talons and a host of other items that can be explored. We met 80 plus people who came just to meet us and our Bird Ambassadors, it was a great time. Wednesday, March 16, 2016 at 4:00 p.m.
We were very excited to be asked to visit Sylvan Oaks LIbrary and share our bird ambassadors with them. This wias our very first visit to this location. We had with us our live birds in addition we shared our discovery table that featured; wings, talons, feathers and a host of other goodies that many put their hands on. We so happy to meet over 100 people that day, most new to Hawks, Honkers & Hoots. Thursday, February 18, 2016 at 3:30 p.m. There are two compliments a business can receive; one is repeat business and the second is referrals. 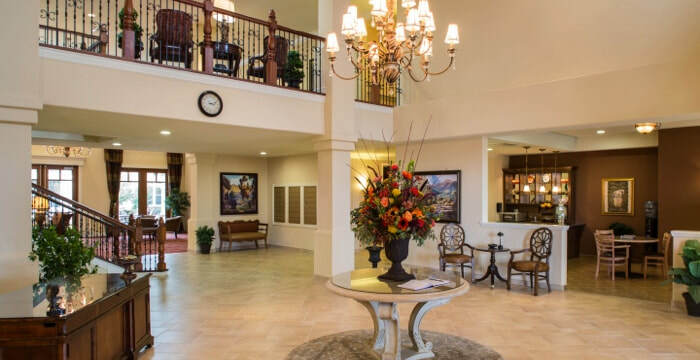 This was our very first visit to Oakmont of Carmichael, they found us through their sister facility in Folsom that we've been to twice in the last two years. 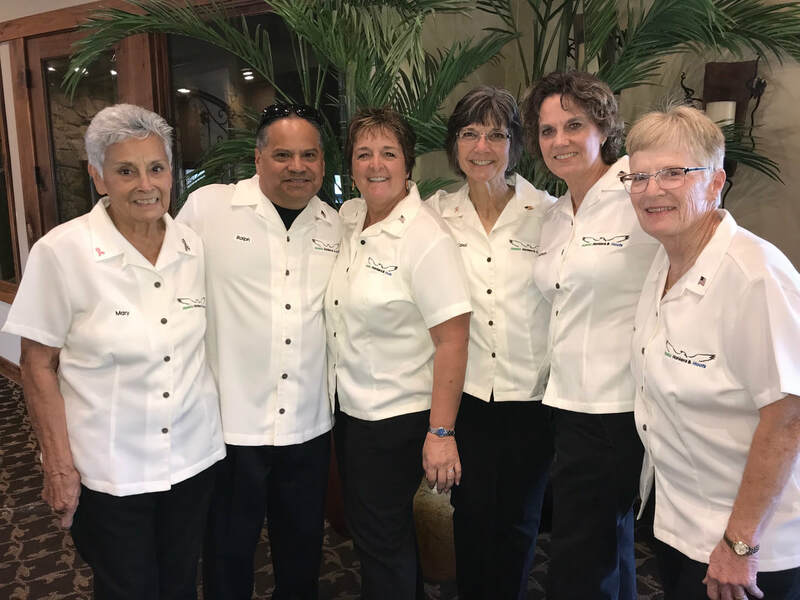 We were so excited to share our Bird Ambassadors with the folks at Oakmont of Carmichael, of course brought our very fun discovery table as well. The last two years Hawks, Honkers & Hoots was invited to be a keynote speaker at this wonderful event. We are honored to have been asked back once again to join a fantastic line up of keynote speakers. We took the main stage for more than 300 people. We also hosted our "Discovery Table" and booth in the other building throughout the day. Hawks, Honkers & Hoots was honored to be asked to return to Oakmont of Folsom for the second year in a row. Our bird ambassadors showed their beauty and majesty. The clients had an opportunity to explore our ever so popular discovery table with feathers, wings, talons and a host of other items. ​ edit. Saturday, January 9, 2016 at 10:00 a.m.
We were so very excited to be serving the community that we live in! We were invited to do a presentation right in Cameron Park which is so very special to us. We had a great time meeting the people who live at Ponte Palmero and sharing our Bird Ambassadors as well as our Discovery Table. We have already been asked if we'd like to come back again! This will be our third visit to Ms. Gilroy's class. The students in this program have a special interest in animals and careers that involve them. Most of the students were interested in equine medicine but were very excited to learn more about birds. We've been told by Ms. Gilroy that her students now have a greater appreciation for birds and found that they now more interested in them. Exactly what our goal is when we go out for a presentation. 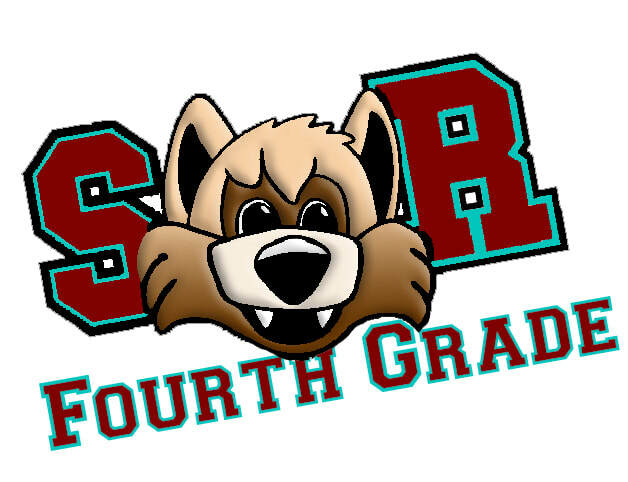 Saturday, November 14, 2015 at 11:00 a.m.
Friday, October 30, 2015 at 12:30 p.m.
Hawks, Honkers & Hoots was honored to have been asked to return to Ms. Cihak's 4th grade class again this year. We once again had such a wonderful time with her class, her new students were wonderfully interested in Hawks, Honkers & Hoots. So many great questions, it's obvious that Mrs. Cihak shares her love of animals with her students. What a fantastic Fundraiser we had on October 18th! A BIG thank you to all our friends and supporters of Hawks, Honkers & Hoots for such a successful event; we couldn't do this without all of you. We had a great time at the champagne brunch; JEP-BIR-DEE was a huge hit, the silent auction gifts and first year raffle were smashing but of course the stars of the entire day were our Bird Ambassadors! All were showing off their beauty and majesty! If you missed all the fun, we hope that you will join us next year. And if you shared the day with us, we look forward to seeing you again. This was our first presentation at this school, thanks to Ms. Gravert and her fellow teachers. We had a combined 48 kindergartners that day. To our pleasure, the students were very interested and so smart about the birds and their natural history. The students enjoyed the birds but had a great time at our discovery table and creating their own artwork with our collection of stamps. 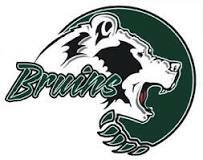 Saturday, September 26th, 12:00-4:00 p.m.
Saturday, September 19th, 8:00 a.m.-11:00 a.m. Served the public - open to everyone! Thursday, September 17th at 4:00 p.m.
Hawks, Honkers & Hoots was honored to have been asked by Tuleyome to do a presentation about the birds that are native to the local areas. 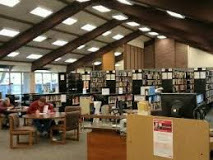 This was our first visit to the library in Davis and our first opportunity to work with Tuleyome. Our bird ambassadors were there and we had our discovery table that was very popular with the crowd. We met some wonderful people that love birds and especially our ambassadors. 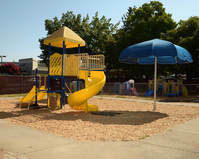 The Tuleyome website can be found at http://www.yolocounty.org/general-government/general-government-departments/library/branch-list/mary-l-stephens-davis-branch. This was our second visit to the Pocket Green haven Library and were very excited to be asked back. We enjoyed meeting all the patrons, there were some familiar faces in the crowd from last year and had a great time introducing our new bird ambassadors! 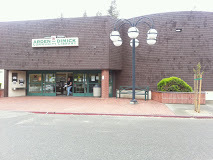 Their website can be found at http://www.saclibrary.org/locations/robbie-waters-pocket-greenhaven/. Phoenix makes her debut - what a SUPERSTAR! It's not often that one gets to see an Osprey up close. Hawks, Honkers & Hoots is the one of the only education groups in the state of California permitted to have one of these wonderful birds as an ambassador. We are so very proud to introduce Phoenix to you. It's well known that Osprey are extremely difficult to manage and train in captivity; boy did Phoenix prove them wrong. Phoenix and Heila, her handler, trained really hard for many months for this very day. The team made their debut to the public; the crowd was fascinated and it made HH&H incredibly proud! Phoenix dutifully got on the glove, her first time in front of a group of people and was very curious as to why everyone was looking at her. She did so well, stayed in place and acted like she was a true veteran. Heila will continue to work with Phoenix so she is comfortable appearing at our presentations, representing HH&H and Ospreys alike to the best of her abilities. If you’ve missed Phoenix and Heila, be sure to come out to meet them at one of our presentations or at our Third Annual Fundraiser, "Wings & Wine." You will be smitten! In 2014 we were asked by great friends of Hawks, Honkers & Hoots, Chet and Dorothy Wilcox, to attend this event. Both Chet and Dorothy have been involved with Pacific Flyway Decoy Association for many years. We are excited to have been asked to attend this year, as well. Many came out to see the beautiful carvings, artwork, and of course our bird ambassadors. The photo to the left is a full scale wood carving of a Red-tailed Hawk! The talent at this event was amazing, and we were glad to see you there. Their website can be found at http://www.pacificflyway.org/. Hawks, Honkers & Hoots appears on the news! 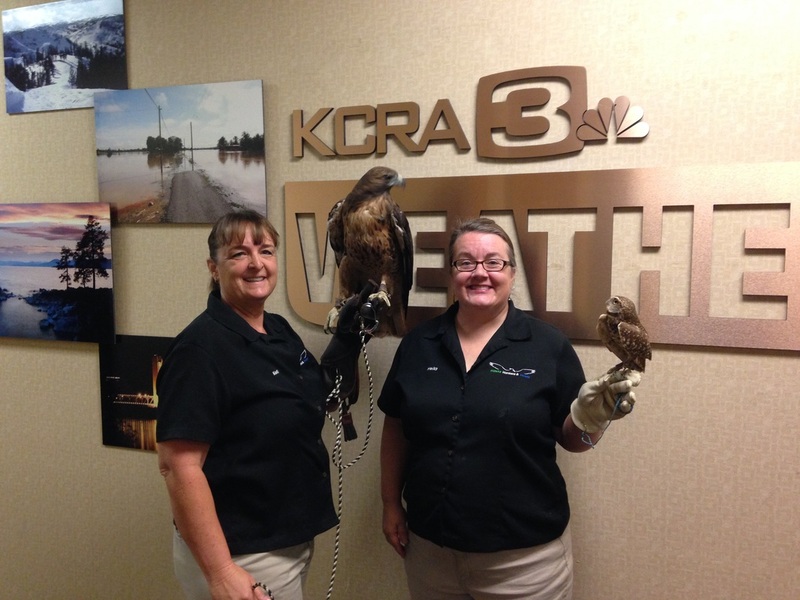 Hawks, Honkers & Hoots had the pleasure of being interviewed by the ladies at KCRA on Saturday morning, July 12th, to promote the Pacific Flyway Decoy Association's 45th Annual Art Festival. Kelli behind the scenes at the news station with Ms. Murphy our Red-tailed Hawk and Heila with Ms. Digger our Burrowing ​Owl. 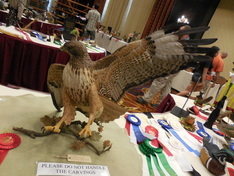 Hawks, Honkers & Hoots appeared on the CW, Channel 31/13 Good Day Sacramento on Sunday, July 13th, at the Pacific Flyway Decoy Association's 45th Annual Art Festival. 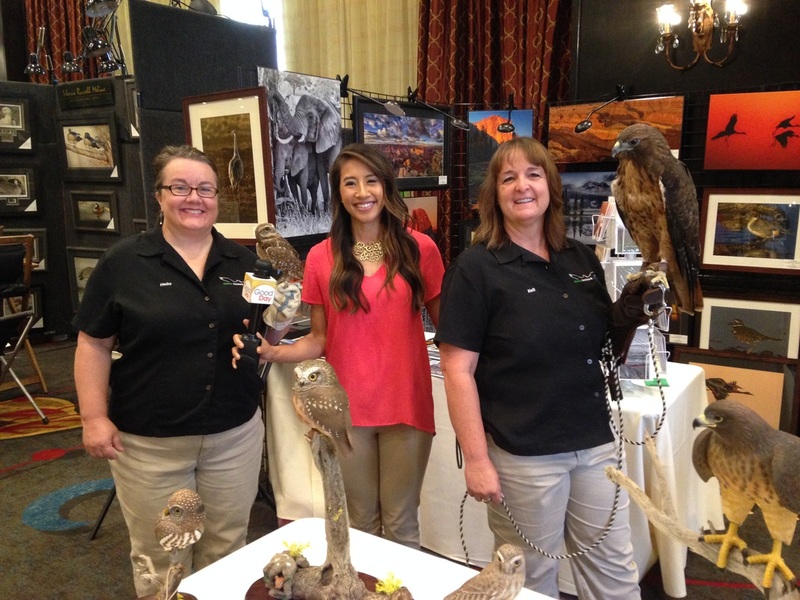 Kelli with Ms. Murphy our Red-tailed Hawk and Heila with Ms. Digger our Burrowing Owl in the showroom at the festival. Hawks, Honkers & Hoots was honored to present at the West Sacramento Library for the first time. They hosted a special guests program and we were invited. We spoke to a standing room only crowd, the volunteer were keeping count and we squeezed 99 people in the room. We had four of our bird ambassadors and our very popular discovery table. Their website is http://westsaclibrary@yolocounty.org. Hawks, Honkers & Hoots did a presentation at Colonial Heights LIbrary. This was our very first visit to this library in Sacramento. This presentation was open to the public and everyone enjoyed meeting the birds and exploinge our wildly popular discovery table. We had a great time meeting people and the interest in our birds was fantastic. Their website http://www.saclibrary.org/Locations/Colonial-Heights/. 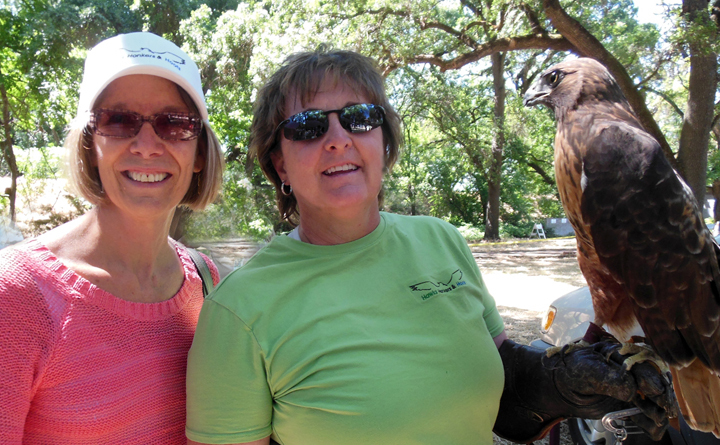 Hawks, Honkers & Hoots participated in an event hosted by the North Fork American River Alliance to celebrate the wildlife, especially raptors in our area. Their mission is to preserve the wild, scenic, and cultural heritage within the watershed of the North Fork American River. This was our first visit to Dutch Flat and we're very honored to have been asked. We enjoyed the more than 40 people that participated in our presentation, we had a wonderful time. The North Fork American River Alliances website can be found at http://www.nfara.org/. We were honored to be doing a presentation at Delta High School via a grant received by Sacramento - San Joaquin Conservancy. Delta High School has an FFA program that has 180 students that helps them reach their potential for premier leadership, personal growth, and career success through agricultural education. These students would like to pursue careers in animal related fields. We all had a great time! We are excited to have been invited to share our bird ambassadors with the folks that live near the Walnut Creek Library. We will focus on the birds that live in the Central Valley but also live in the greater Bay Area as well. 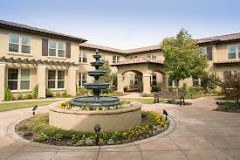 Their website can be found at http://ccclib.org/locations/walnutcreek.html. This was our second year that Hawks, Honkers & Hoots made a donation to this event. 100 restaurants, wineries and breweries were at the Sacramento Convention Center this evening to support this wonderful cause. Their website can be found at http://wish.org. We hope that you were able to join Hawks, Honkers & Hoots for a fun and entertaining presentation. 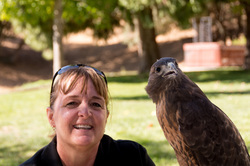 Get up close with our bird ambassadors and learn fascinating facts about the birds that live in the Sacramento Valley. Hawks, Honkers & Hoots went to be a part of Spring Break Celebrations hosted by Bay Point Community Foundation, whose goal is to help youth reach their potential today. We enjoyed meeting the people of all ages at the event. We had a great time with the childrens program at Rancho Cordova Library. The kids ranged in age from three to young teen and they really knew their bird facts! The ambassador birds did a great job but the children especially enjoyed the discovery table. This was our second visit to MMT. We had a special treat to be joined by 30 third graders from a nearby school. The kids brought a lot of energy to the program and they did such a wonderful job with the questions that we asked the auidence. 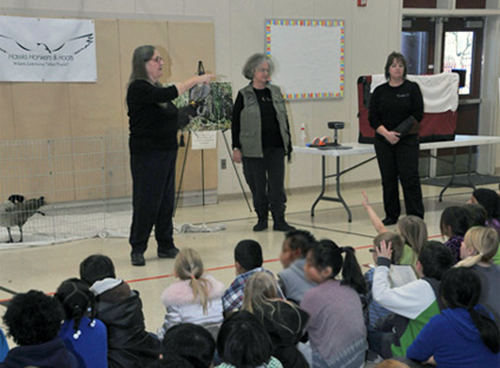 Hawks, Honkers & Hoots was excited to visit the Twelve Bridges Elementary School that has a Bird Club. These 1st through 5th graders give up their recesses and lunch time to learn about birds. They have recently won a grant from Cornell and have local senior citizens help them build a bird garden. How inspiring! We are honored to be asked to share our Bird Ambassadors with them. Hope that you were able to come out and join Hawks, Honkers & Hoots for a fun and entertaining presentation. Those who came were able to get up close with our bird ambassadors and learn fascinating facts about someof the birds that live in the Sacramento Valley. Wednesday, February 4, 2015 starting at 3:00 pm - HH&H presented to a full house of excited people from all age groups; from kindergartners to seniors. Bolt our Peregrine Falcon, Trek our Swainson's Hawk, Clicky our Western Screech Owl and Digger our Burrowing Owl were all in attendance and did a fantastic job. This is will be our very first visit to Oakmont Assisted Living Community to share our bird ambassadors. We first met some of the residents last year when we did a presentation at the Folsom Library. They loved our presentation and discovery table so much they have asked for a special program so more of the residents can enjoy it as well. We had a wonderful time, as did the residents. We look forward to future presentations at Oakmont. We had a great time with more than 100 new "birders" in this community in attendance. Heath, the leader of this wonderful group did a Power Point presentation about the raptors that live in the Rocklin area. Hawks, Honkers & Hoots then took center stage with our bird ambassadors. We enjoyed the people that we met there who had a mutual interest and respect for the birds. We may return for a second visit sometime this year with our owls as the hawks and falcons were the focus of this event. We would like to thank all of our wonderful friends and family for showing their support at Wings and Wine in October 2014. 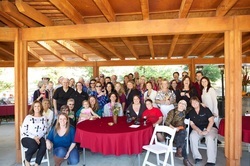 We celebrated our wildlife with a delicious champagne brunch, had fun bidding on Silent Auction items, and shared the joy of our ambassador birds! Congratulations to the winners of our Jeopbirdy game - so much fun! All proceeds go to the care and feeding of our feathered ambassadors. HH&H has been asked to do a presentation and will host a booth at this event. 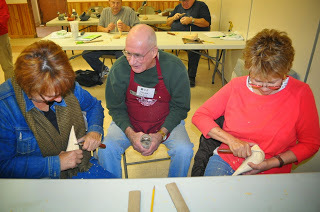 Pacific Flyway Decoy Association presents its 42nd annual festival celebrating traditional wildlife art forms with contests and displays of carvings, paintings, antique decoys, and sculpture during the Wildlife Art Festival. This year’s information is not yet available online. Walk On The Wildside is a celebration of the National Migratory Bird Day. This free, family-oriented event highlights local efforts to protect and restore Central Valley habitats. The day's activities includes tours, presentations, live animals, music, hands-on activities, informational exhibits, and more. Guided and self-guided tours are offered throughout the day. Explore a pristine valley oak riparian forest in search of migratory songbirds or visit numerous wetland and riparian restoration projects. 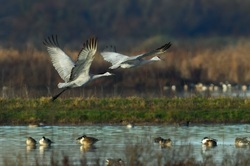 If you participate in the Bufferlands guided tour, you can enjoy a unique opportunity to see one of only four heron rookeries in Sacramento County. Will be hosting a fundraising event in Rancho Cordova. HH&H has been asked to present - time and location to be determined. HH&H is honored to make a donation of an education presentation to the Make-a-Wish Foundation. All day festival and celebration for a week long clean up along the waterways in the Sacramento area. This event is open to the public and HH&H will be hosting a booth. 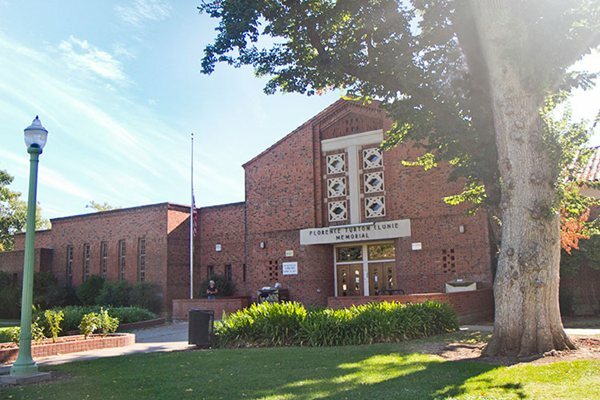 HH&H has been asked to do two private presentations for the Sacramento San Joaquin Delta Conservancy at schools in Clarksburg and Rio Vista. This is a private presentation, not open to the public. raptors up close and asked so many great questions. Thanks, Mercy - we look forward to seeing you again! 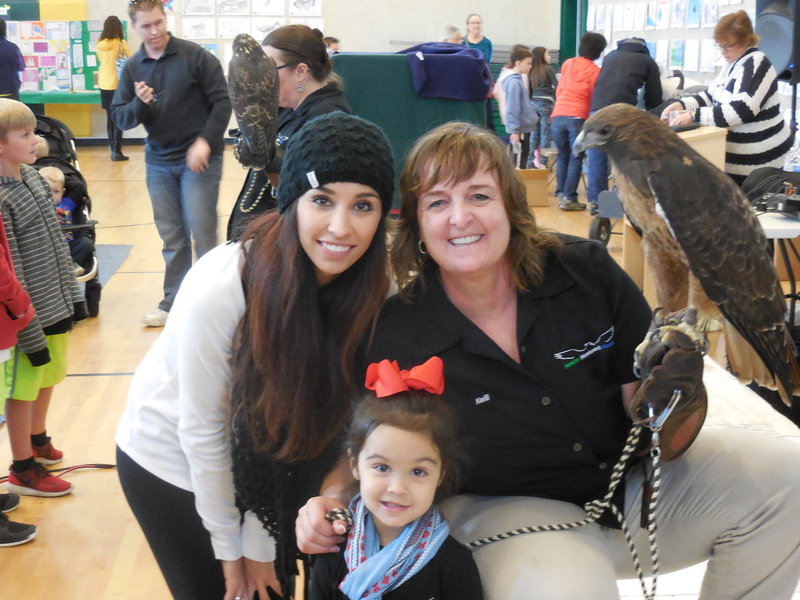 HH&H had such a fun birding day at the City of Galt’s 7th Annual Winter Bird Festival on Saturday, February 1, 2014. We were proud to have been selected as one of three featured speakers at this entertaining and educational event. We also hosted a booth for hundreds of attendees to explore bird feathers, wings, skulls, feet, and learn about our local birds’ activities during winter! Great Success for Our First Wings & Wine Fundraiser! We are especially grateful to Saluti Cellars for hosting our Wings & Wine event on October 12, 2013 – a celebration of Hawks, Honkers & Hoots’ first year! We appreciate all of our guests, donors, and friends who believed in us and contributed to our first year of success. What a great group! HH&H’s education birds traveled on October 6 to Nature Fest 2013, a wonderful community educational event held at the Effie Yeaw Nature Center in Carmichael. HH&H’s humans hosted an interactive booth where kids and adults could explore and touch feathered wings, skulls, feet, and other interesting bird parts (owl pellets!). Murphy the Red-tailed Hawk, Bolt the Peregrine Falcon, Clicky the Western Screech Owl, and Digger the Burrowing Owl attracted 1,300 visitors participating in this fun community event. In the afternoon, the education raptors took to the main stage for an hour-long presentation, sharing with the audience some fascinating facts about the raptors in our local area and how they are a very important part of the life cycle in the Central Valley. Thanks to Effie Yeaw Nature Center for the kind invitation to give a presentation and host a booth – we all had a great time! 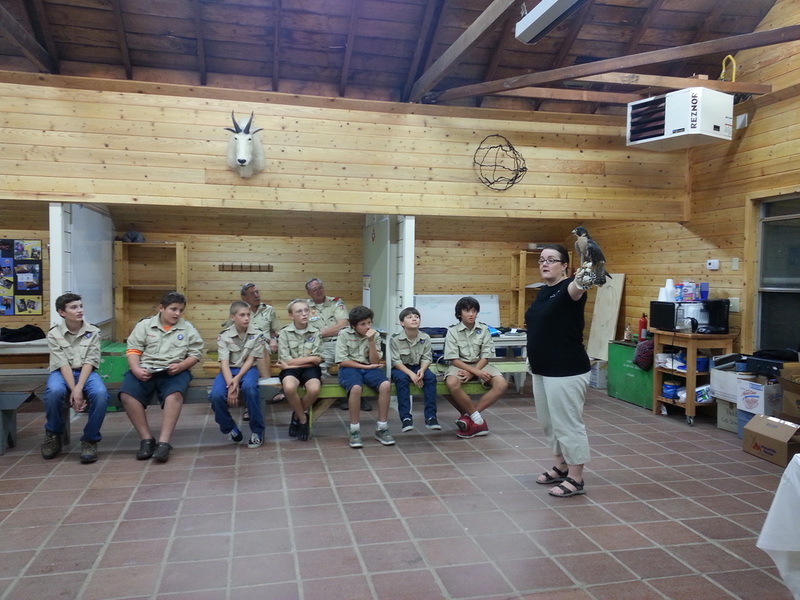 HH&H traveled to Clarksburg with the education raptors on September 16 for a presentation with an enthusiastic group of Boy Scouts from Troop 83, ages 11-18. Scout Master Bob requested that we prepare the troop and share information about the local watershed, water quality, and conservation prior to their annual Sacramento Conservancy Delta Clean-up event on Saturday, September 21. Our presentation focused on the effects of pollution, the importance of keeping our natural areas and waterways pollution free, and why raptors and waterbirds are an integral part of our environment. Thanks to Troop 83 for helping to keep our environment clean and safe for our Central Valley wildlife! On Saturday, July 12, HH&H gave a class and presentation to an enthusiastic crowd of about 40 people at the Georgetown Library. The librarians were excellent hosts, with cool, quiet spaces for the birds, as well as tables, chairs, easy-up tents, willing hands, and a glowing introduction of the team. Hawks, Honkers & Hoots gave its first formal presentation on February 22, 2013, at the Two Rivers Elementary School in Sacramento. Three third-grade classes participated over a period of three hours. We opened with hands-on events, where the students could touch, look through magnifying glasses, and explore. To illustrate life in the Valley’s wetlands, we concentrated on its bird life – raptors, beautiful airborne killers who are at top of the food chain. And waterbirds – diverse and fascinating residents and visitors whom we see all around us. “Duck Soup” – a pool of small water plants and animals that wild ducks love to eat – plus a duck nest and eggs. .
Skulls and bones, feathers and feet of raptors and common waterbirds and mammals of the wetlands. Photographs of common camouflage schemes of owls and waterbirds. Find the bird: a tricky challenge for the kids!